There's not much to say about a book that has been reviewed, probably many here on BookLikes, that hasn't already been said. I'm mostly reading them and comparing the movies to the books and Suzanne Collins must have worked hard to get the movie really close to the book. It's been years since I've read the book and a week since I've watched the movie. The Hunger Games is not my favorite YA series, that belongs to the Artemis Fowl series by Eoin Colfer. The Hunger Games is probably 3rd after Artemis Fowl and then Harry Potter. As for book series with movies, I think this will be 2nd behind the Harry Potter movies. As for the Hunger Games as a whole, the only thing I didn't care for was Katniss's inner struggle of her love between Gale and Peeta. But what's a YA without some first love interests. As for the comparison, I've just cut and pasted what I have here and then added a little more about some of the differences. Click here if you want to see the comparison. Like I said reviews for all three Hunger Games books have been done many times and in many languages. 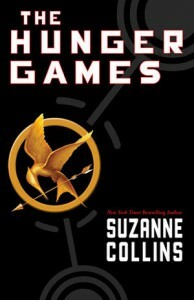 The Hunger Games book sold 4.3 million books in 2010 and jumped to 9.3 million in 2011. In 2012 the sales tripled and now it's listed as 29 million in the U.S. alone. The first movie in the series mad $694 million dollars, 2nd in the franchise. All in all, I enjoyed both the movie and the book, Rating the book 4 stars So now I move forward to the 2nd book, Catching Fire.